Weki Meki’s Doyeon was spotted looking stunning, as usual, while heading to her next schedule. In the photos, however, fans couldn’t help but notice a donkey minding its own business behind her. ..much less in Nonhyun-dong, where Doyeon was, which is one of Korea’s most affluent, urban neighborhoods. 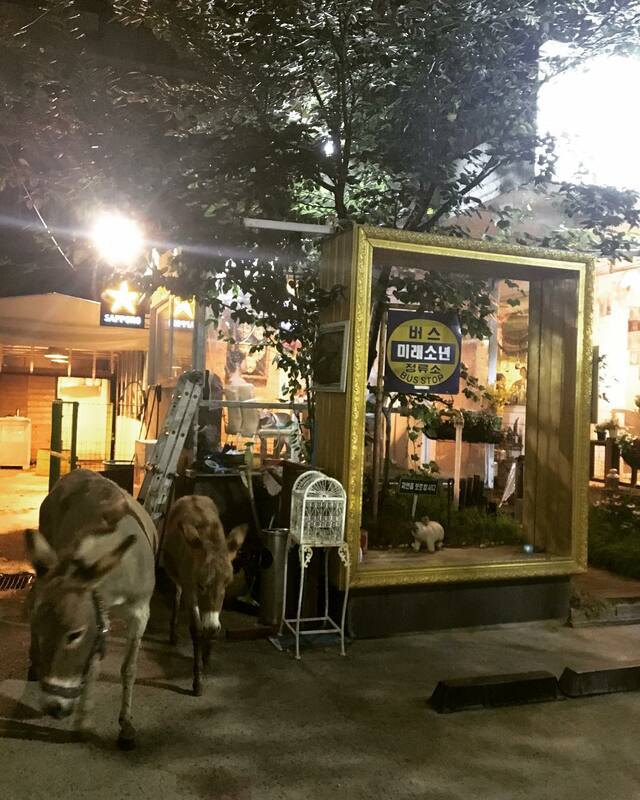 Upon further research, fans found out that the donkey was being raised by a nearby restaurant! 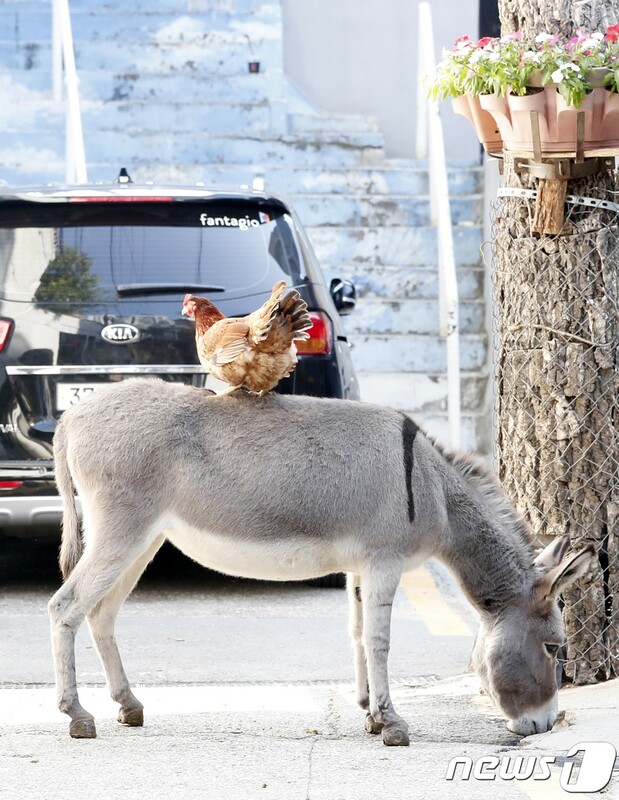 They even found a photo of the same donkey in the same street with a chicken sitting on its back! Despite the odd sight, Doyeon looked stunning and surprisingly unfazed.